Have you ever wanted to tag your products on a picture you made of several of your products standing on a shelf or presented on a table? Well now you can. Upload a picture of your products, tag them like you would in facebook and select the product for an autocomplete list – and your done! Now you customers can browser your shop, see beautiful pictures of your products and learn their prices and titles directly form the image. Simple installation, unlimited number of images and tags, flexible module system – makes you want to create. Add a 1000 images with a 1000 tags for all we care. Its simple and flexible to fit your needs. Every image lives apart from the modules. 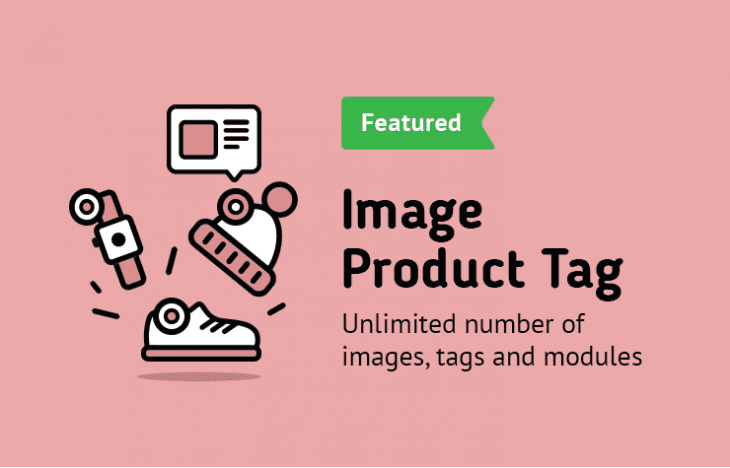 So you can create 1 image with unlimited number of tagged products and then place this image in as many positions as you want. It saves you time and saves you the hassle by editing just one image for all the positions. Use Extra Positions Module to add more positions to the theme. Autocomplete – you don’t need to know the exact name – let the system help you find the product. Drag the tag on the image to place it exactly over the product, resize it to fit the size perfectly. Great module! and great customer service.